Hopefully you know what a joystick is. 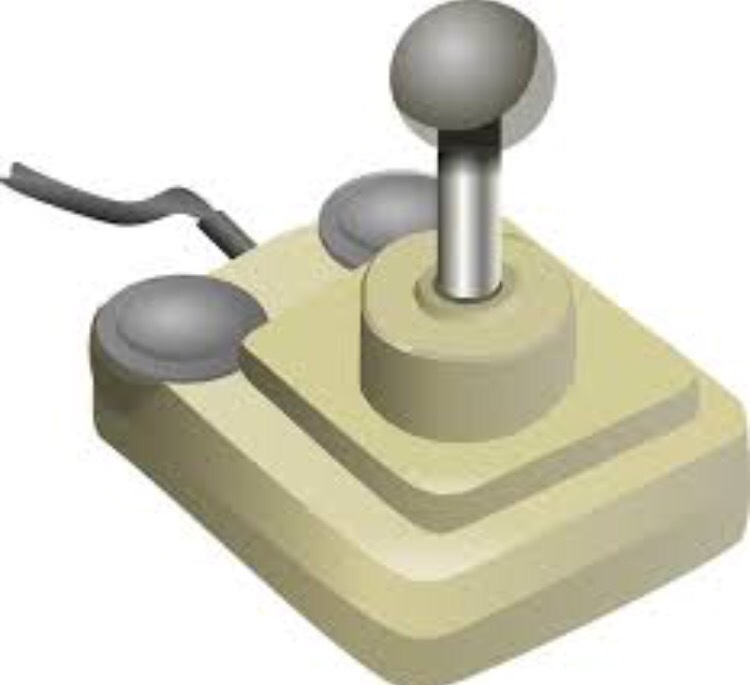 But sometimes I have to explain it to the younger crowd, so behold a joystick! Just like a video game character, or my drone, I want to be able to move my horse in any direction I want. Once my horse understands the concepts of leg yield and rein yield, it’s time to get joystick control on him. 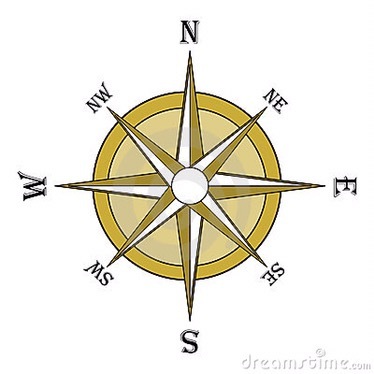 At the halt, imagine that you and your horse are standing in the center of a compass diagram. Your horse’s head will always point north, no matter what direction his feet are going. Can you move your horse straight forward towards north? Dear lord, I hope so. Can you move your horse straight back towards south? Can you move your horse sideways towards west and east? Once you can move in these directions smoothly, try going forward and sideways towards northeast and northwest. Then try backwards and sideways towards southeast and southwest. Chances are you’ve found a direction that it is difficult. As part of your horse’s basic training, you need to work on it and improve his response. If you are getting stuck, get off and work the response on the ground. Once the response has improved, get back on and try again. Your horse might benefit from someone cueing him like you did on the ground while you are cueing him from the saddle to bridge the gap between rider cues and groundwork cues. Release the pressure after a weight shift in the right direction. Then release the pressure after a single step. Once your horse has done the right thing, praise him and take a few moments break before asking him to move again. If your horse was accepting the directional cues, but then started to brace, fuss with his mouth, swish his tail, or show stress in some other way, it’s time to take a break from the exercise. That break might be moving around the arena, or it might be time to call it quits for the day. Remember to take your time, you might be able to achieve all directions smoothly in one day, or it might take you a month. Quality over quantity. 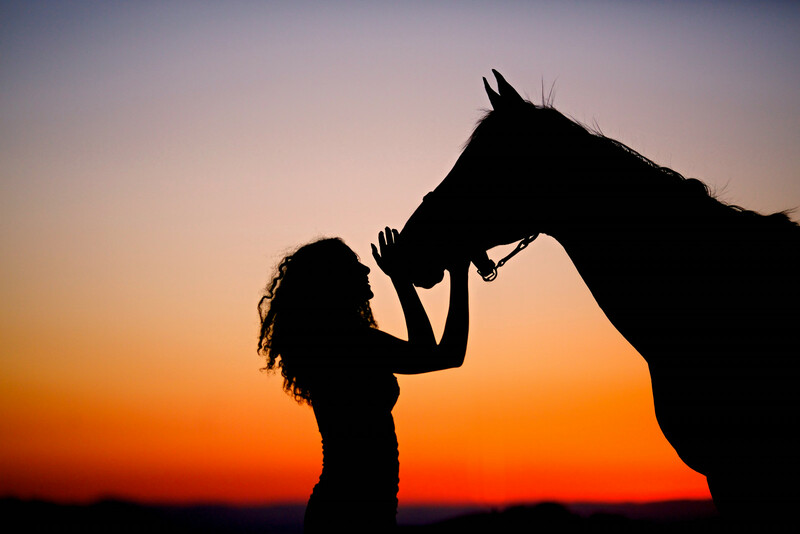 Remember that you want to train your horse to be a calm and willing partner. You aren’t done with this exercise until your horse moves quietly in the direction of your choosing without any head or tail theatrics. Why is all of this important? You want your horse to be as connected to you as your own legs are. He should be able to easily move in all the directions that your legs can. This will help you with trail obstacles, like opening gates. It will also help you with your dressage. Your horse will be better equipped to understand bend. He will be better equipped to make an effective half halt. He will generally have a better understanding about your rein and leg aids. A horse who is willing is a horse who understands what is being asked of him. While rain has prevented me from getting good photos of real horses performing joystick control, check out this video for inspiration. Really helpful !Love reading theses!